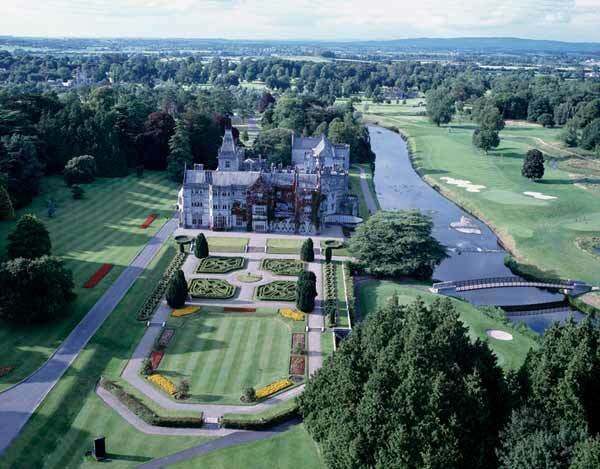 Adare Manor takes its name from nearby village of Adare, Co. Limerick. 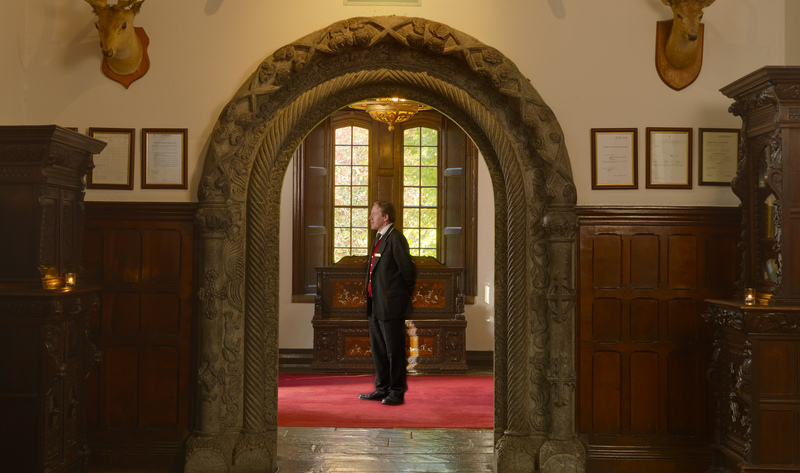 The Manor was started by the Second Earl of Dunraven, Windham Quin and and his wife, Lady Caroline Wyndham, and it took almost 30 years for the manor to take its current form. First buildings were constructed in 1825, with the latest constructions finished in 1852 by Lord Dunraven’s eldest son, the 3rd Earl of Dunraven. 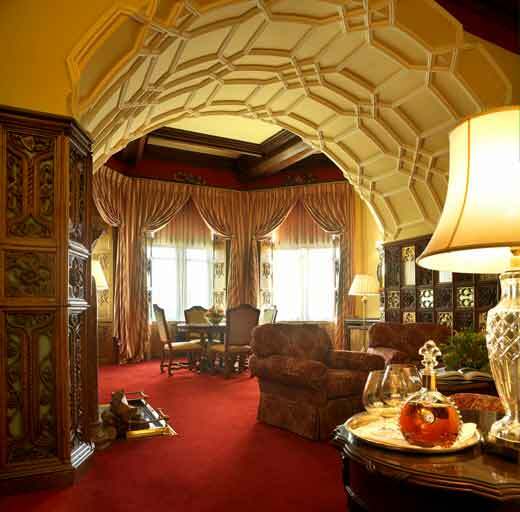 The home remained in the Dunraven family until 1982 when Lord and Lady Dunraven sold it to an investment consortium. 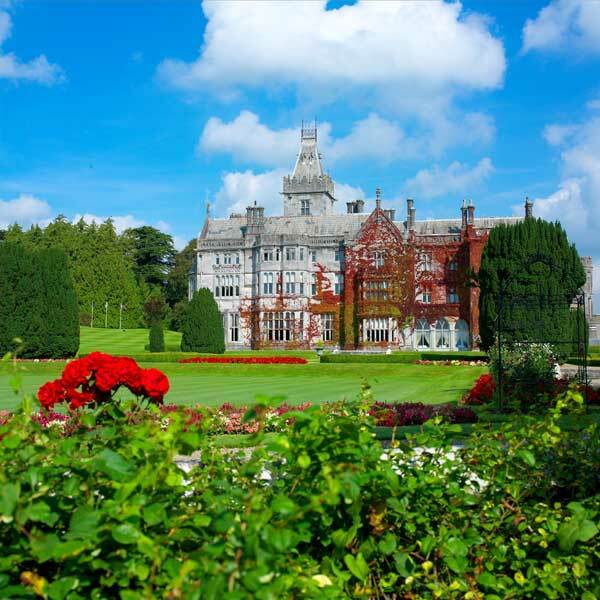 Read more: history of the Adare Manor. 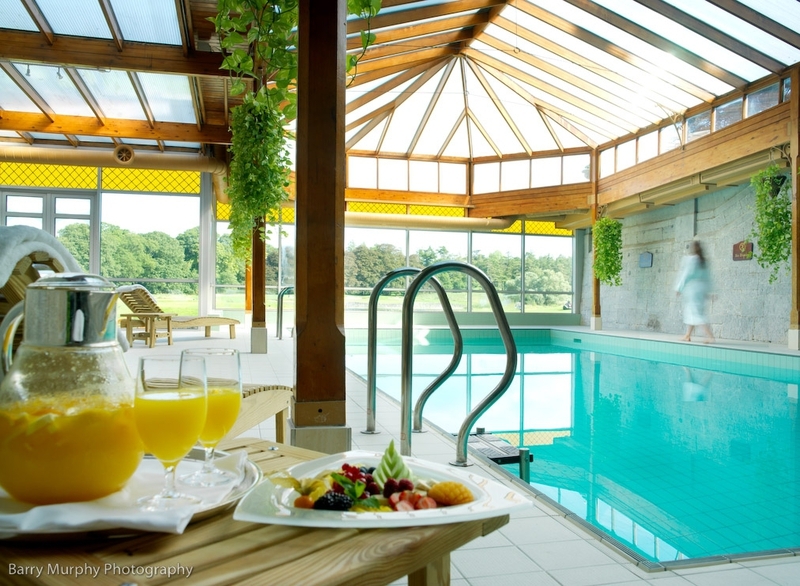 Shannon International Airport is 40 mins from the hotel by car. 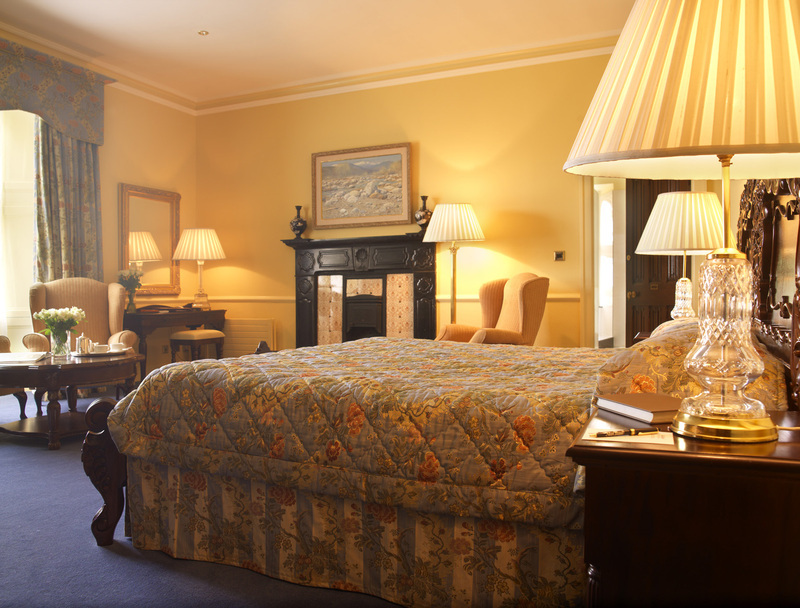 The hotel is within easy reach of Ireland’s stunning west coast and the historic cities of Limerick and Galway. 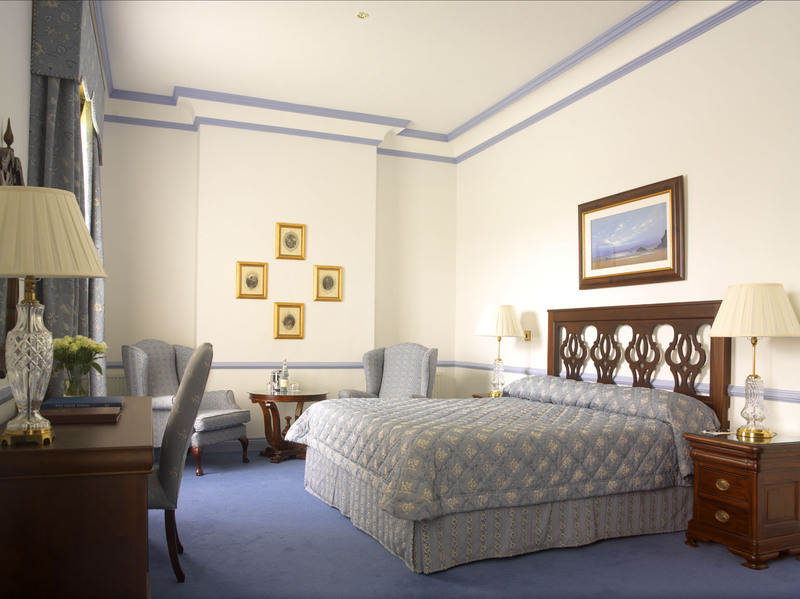 In addition to it, the Golf Clubhouse offers 11 Clubhouse bedrooms. 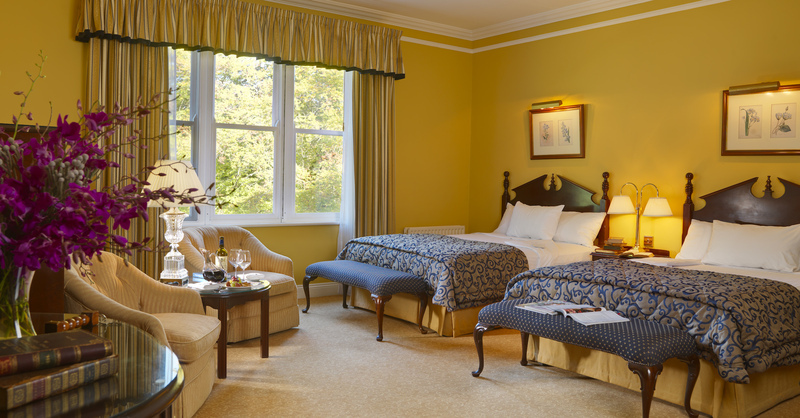 Read more at the official accommodation page of the Adare Manor Hotel. The River Maigue is great for fishing with wild brown trout and spring salmon. There’s also two private lakes on the grounds of the hotel. The Maigue is one of the Ireland’s most notable trout rivers. Brown trout may be fished year round, and salmon from May to September. Fish as large as 13 lbs and 31 lbs respectively have been taken from under the Weeping Willows and beneath the sprawling ruins of the Franciscan Friary. Wet and dry fly fishing prevail depending on the season, and any landed catch can be turned in at the kitchen for an angler’s supper. Rods, tackle and apparel are available from the ghillie, who is as happy teaching a novice as keeping an old-hand company. 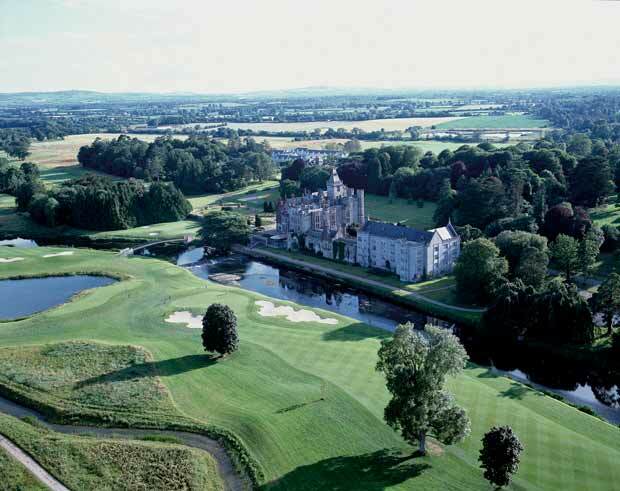 Read more at the Adare Manor Hotel – Activities page. 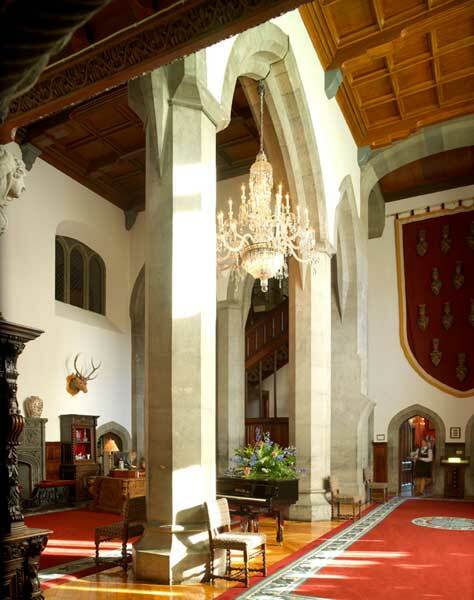 For more contacts, please visit the Adare Manor Hotel – Contacts page. 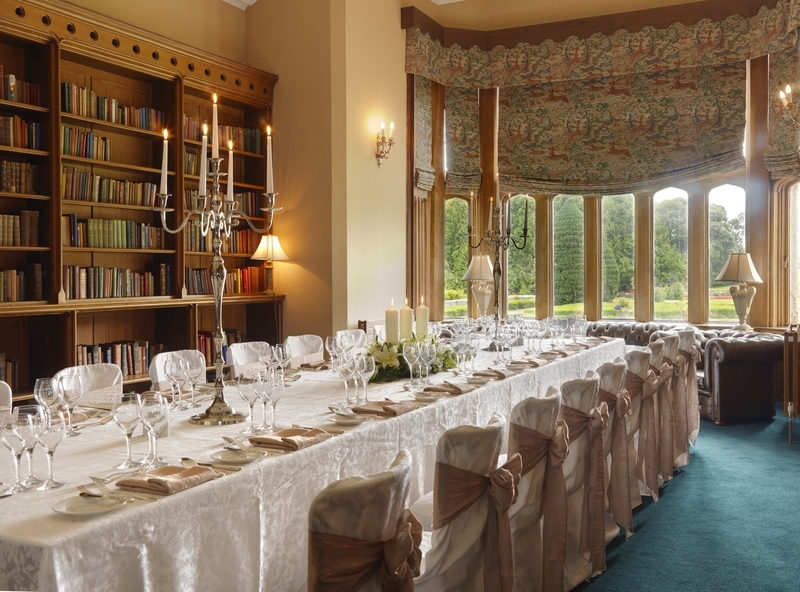 All of these photos are courtesy of the official Adare Manor Hotel website.